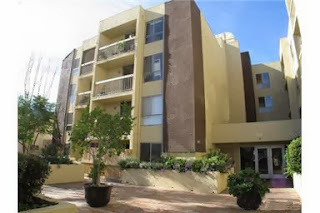 Studio City Real Estate Blog: NoHo Condo priced UNDER $200,000! NoHo Condo priced UNDER $200,000! Top Floor Unit in The Bakman Towers Condominiums located in the Trendy No Ho Arts District Of North Hollywood. Close to Theatres, Studios, Metro Red/Orange Line, and Great Restaurants. Open Floor Plan, Vaulted Ceilings, Fireplace and Hardwood Floors in Living Dining Areas. Good Sized Balcony off Living Room. Unit is Light and Bright. Community with Pool, Spa, BBQs, Rec Room and Gym. Unit has 2 assigned covered subterranean parking spaces. Low HOAs includes Earth Quake Insurance. Studios Close!